Few creatures in the world inspire more dread than the rat. Long a symbol of death and pestilence, they haunt our nightmares and scuttle in our walls, scaly tails dragging behind them. Rats cause billions of dollars in damage every year, spoiling food supplies, chewing through electrical wires, biting babies in their cribs – and yet their benefits to mankind have been simultaneously overwhelming. Read below for further information on some of our creepiest neighbors. Although there are many different species of rats, the one most people associate with the word are Brown or Norway rats. Likely originating in China, the largest specimens can top 2.2lbs. 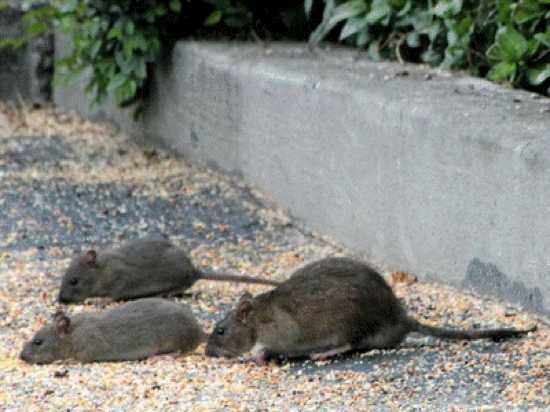 Norway rats plague cities such as New York (where population estimates vary wildly- from a few hundred thousand to a few hundred million depending on your source) and London and have pervaded nearly every corner of the globe with the rare exceptions of Arctic and Antarctic areas, the Canadian province of Alberta, and pockets of New Zealand. 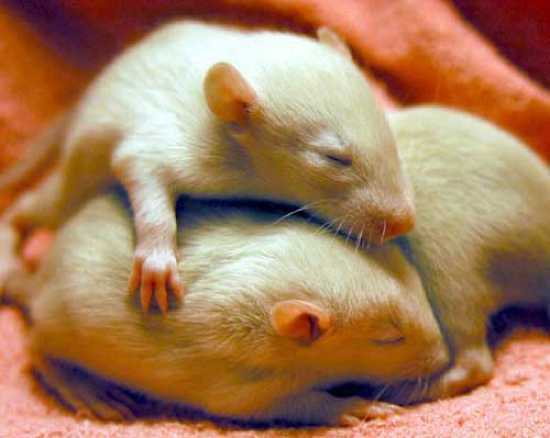 The white albino rats used in laboratories and kept as pets are domesticated versions of this species. Driven to a fraction of their former range by the larger, nastier Brown Rats, Black Rats prefer tropical locales these days, but were once Europe’s dominant species. 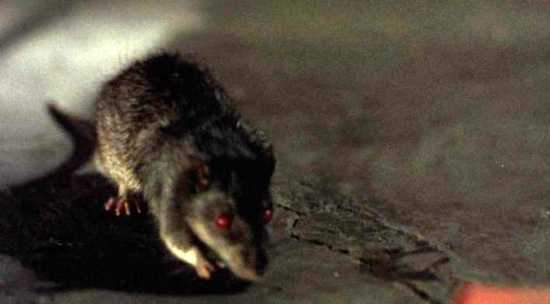 It was this rat which ushered in the Black Plague. Fleas that lived on the rats transmitted the Yersinia pests bacteria to millions of unwitting victims. 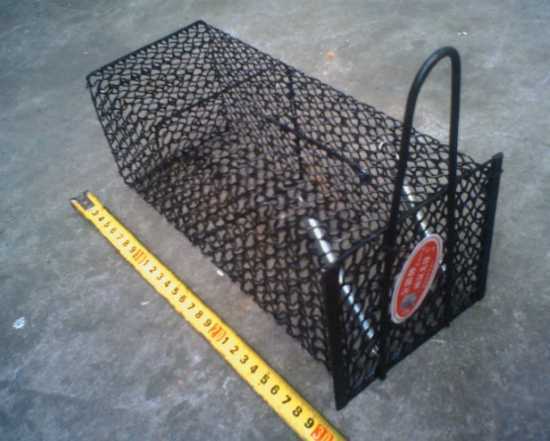 The black rat is an excellent climber, and has proven to be the bane of many nesting bird species throughout the world. They are especially pervasive in New Zealand. Unlike their brown counterparts, they tend to be subject to huge population explosions, typically around harvest times when food is abundant. It is nearly impossible to completely rat-proof your home. They can fit in through openings as small as the diameter of a quarter. According to the Mohs scale of mineral hardness, a rat’s teeth are harder than iron or steel, and are easily able to gnaw through substances like cinderblock and wood. Once they have invaded the home, they are very difficult to get ride of. Rats are clever and notoriously trap shy. Using poison has its drawbacks and well. It is dangerous for children and pets, and even if it works precisely as advertised, one still has to deal with the rats, who often hide themselves in the walls to die and fill the house with the obscene reek of rotting flesh. Toxoplasma gondii is a protozoan parasite whose life cycle can only come fully to fruition in the body of a cat. Other animals can carry it, but it needs a cat to flourish. And the way it finds a host is insidious – rats who become infected suffer a change in the brain chemistry which causes them to become attracted to, rather than naturally fearful of the scent of felines. Obviously, they don’t last long. Humans also contract toxoplasmosis – some estimates indicate 1/3 of the world’s population has it. Occasionally fatal, it is particularly dangerous for people with weakened immune systems and pregnant women (which is why women are told to avoid cat litter boxes when they are expecting). Toxoplasmosis has also been linked to many other ailments, including schizophrenia. The spread of rats throughout the world was not due entirely to fortunate circumstance. They are able to adapt to different environments without much difficulty. A rat can go longer without water than a camel. It can fall some five stories without injury. They can survive large doses of radiation, and swim for half a mile across open water. Over generations, they tend to build up certain immunities to poisons. And the biggest, feistiest sewer rats can send your average house cat running for the hills. While some housecats may have largely lost the ability to take on rats, there are many other creatures that rely on them as a staple of their diets. 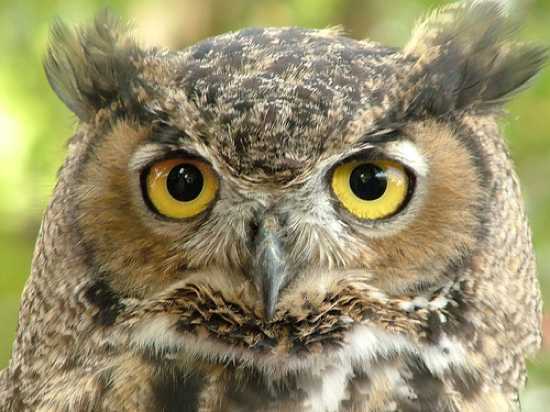 Owls and hawks, snakes, members of the weasel family, and many large predators eat rats. There any many dog breeds specifically conceived to hunt them – terriers are exceedingly good at eliminating vermin. 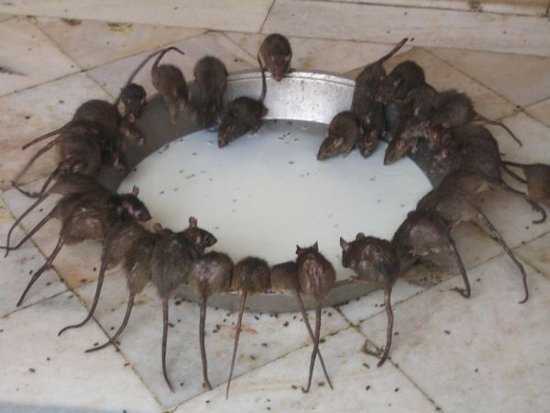 In many parts of the world, rats are a food source. They are frequently eaten in Africa, China, and other sections of southeast Asia. Even in the same country, there is a fine line between the delicious and the taboo; in certain areas of India, they are considered a delicacy, and in others they are worshiped as scions of the Hindu deity Ganesha. There is no underestimating the importance of the laboratory rat in research. Great strides have been made in the medical field using rats. There are several strains, inbred so that they becomes almost genetically identical to each other, including the Wistar, the Sprague-Dawley, and the Long-Evans. However, certain genetic manipulations can result in extremely specific types, such as the Biobreeding rat, which develops Type 1 diabetes, and the Zucker rat, which becomes obese. 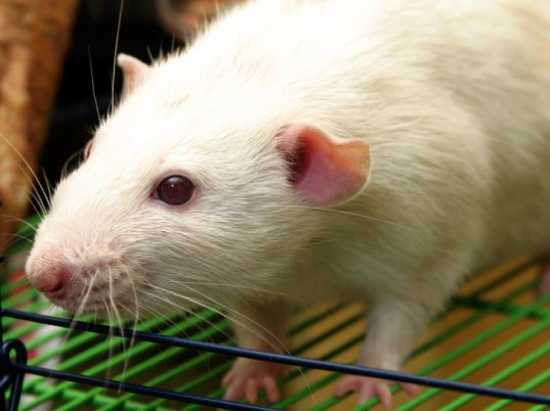 Lately, rats and mice have been used for tissue engineering, a controversial process wherein rodents can grow skin and cartilage for transplant in humans. For those with a fear of rodents, the Gambian Pouched Rat would be an absolute terror. 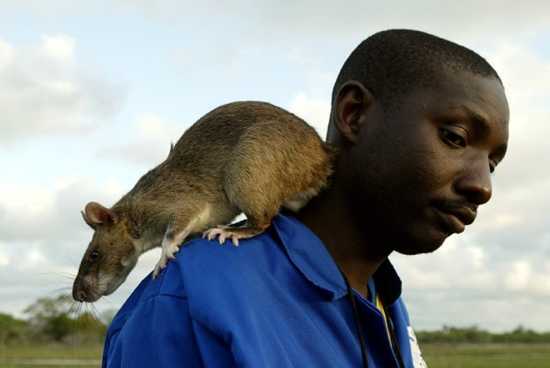 Similar in appearance to a Norway Rat, the Gambian version can grow up to 15lbs. In its native Africa, it is eaten as bushmeat, but its intelligent and tractable nature has also led it to be used to detect land mines. While huge by rat standards, it is small enough to climb over the mines without detonating them. 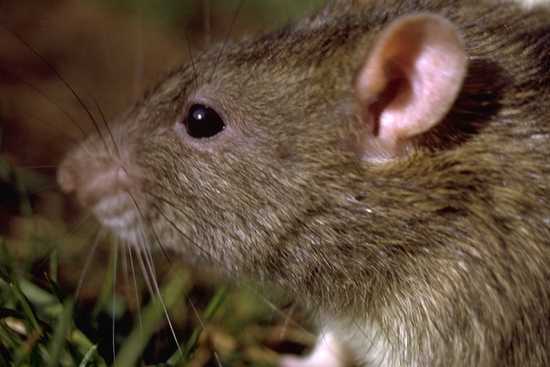 The Gambian pouched rat has also shown a marked propensity for detecting tuberculosis. It can examine a sample of human sputum and declare whether it is infected far quicker than humans can through more scientific methods. Despite its jarring appearance, the giant rat is actually quite friendly and has a growing following as an exotic pet. Ownership was made briefly illegal in the United States when it was discovered the rats were a vector of the disease monkeypox. A mating pair of rats can have 5 litters of 7-15 pups in a year, and the pups themselves become fertile around 5 weeks of age. In a vacuum environment, such a pair could theoretically produce hundreds of thousands if not millions of descendants in a single year. Such a prolific rate of breeding is necessarily to keep their species extant, however, because even under auspicious circumstances, a wild rat rarely makes its 2nd birthday. Depending on various environmental factors, the mortality rate is around 95% in a rat’s first few weeks of life. A rat king is a strange freak accident wherein many rats clustered together become inexorably tangled together by their tails. Several have been found since the Middle Ages, but many doubt the veracity of these specimens. Although not strictly reserved to Germany, the vast majority of rat kings seem to have occurred there, lending some credence to the idea that it is a cultural phenomenon and perhaps something of a hoax. The largest rat king known is a cluster of 32 mummified black rats found in a miller’s fireplace in Buchheim, Germany in 1828. It can be seen on display at the Mauritianum Museum in Altenburg, Germany. 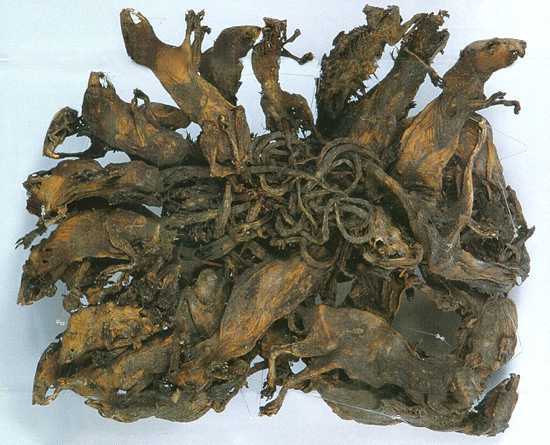 Historically, rat kings have been seen as a terrible omen associated with death and disease.